Amidst all the different ethnic cuisines Japanese food nearly is on the verge of topping the list when it comes to American’s preferences in dining out. The first sushi bar by Moto saito in New York after the WWII marked the invasion of Japanese cuisine in the American taste buds. The hype of Japanese food gradually increased within the little Tokyo area of LA and spread all over the major cities in the US. Sushi has now become the choice of food for the date nights. Ramen remains as the top preferred option for students who have a tight budget while studying in college. One of the major concerns these days for Americans apart from satisfying their palate is their health. 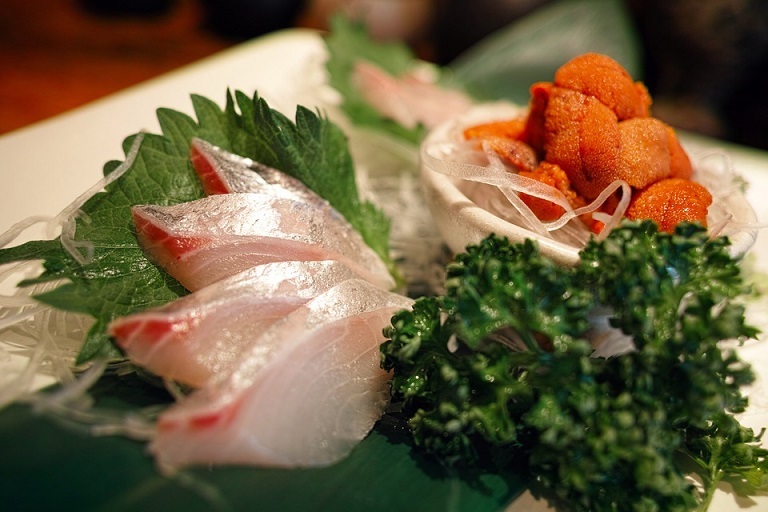 Japanese food is a combination of both health and taste. Japan has the highest number of centenarians around the world with the lowest risk of age related diseases. Healthy food directly never attracts people but when it wrapped in the silver coatings of class and status it suddenly graduates from oxford! Japanese food is now considered classy in the US not because it is very rich on phytonutrients but because it is the food of the rich! These days Japanese food is so omnipresent- you can find it everywhere from trendy ramen joints to the most elegant places like Raku in Las Vegas or maybe a Sushi Yasuda in New York. These restaurants present an amalgamation of ancient traditional Japanese food fused with the modern American style of cooking resulting in a very exotic twist which leaves everyone craving. A very prominent example to this is the ‘California roll’ which is makizushi sushi roll stuffed with cucumber, crab meat, avocado etc. California roll is popularly known as the fashion cuisine as it is an American take on the traditional sushi made in Japan. The Japanese steakhouse and a other american noodle concept restaurants may also be called a cultural hybridization. It should be kept in mind that Japanese food is very tough to master and prepare hence one should always eat in restaurants with highly trained chefs who are reliable. Not everyone like ‘sushi’ but people who love it explain the science behind its taste which is said to be “acquired” with time. But why do people want to acquire its taste? Because it is healthy, period. The top tier of people, the elite class, is so much concerned about their health which forces them to eat Japanese food which is low carb perfect for ketosis and rich in antioxidants. This is the reason why athletes, models, actors and major influencers in the fashion world prefer these foods and set the trend for everyone else. It not only protects you from major disease it also helps you get in shape! Healthy food is rarely tasty but Japanese food is an exception to this rule.